See Up To A 21% Instant Increase In Sales of Your Products and Sign Ups To Your Squeeze Pages, Faster and Easier Than You Ever Thought Possible With Our New, Affordable Social Proof WordPress Plugin, Bubbles! Amazingly Easy to Use! Today, I’d like to show you a nifty piece of software we developed for use in our own business called Bubbles. Bubbles works on both sales pages and email sign up pages (squeeze pages). It will help you maximize your sales and your sign ups easily and ethically! Okay Lee, I officially love your new Bubbles plugin. You're right, it absolutely does what I always wanted - without all the downsides that kept me from buying the other solutions like it. 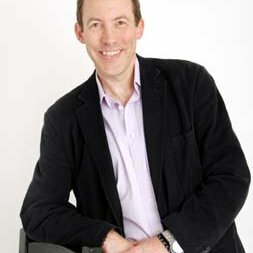 Before We Get Going, I Want to Prove to You That I Absolutely Know What I'm Talking About When It Comes to Online Selling! Below, you’re going to see a sample of screen shots of our business’s daily revenues from various sources. Before I show you these, I want to make something perfectly clear to you. 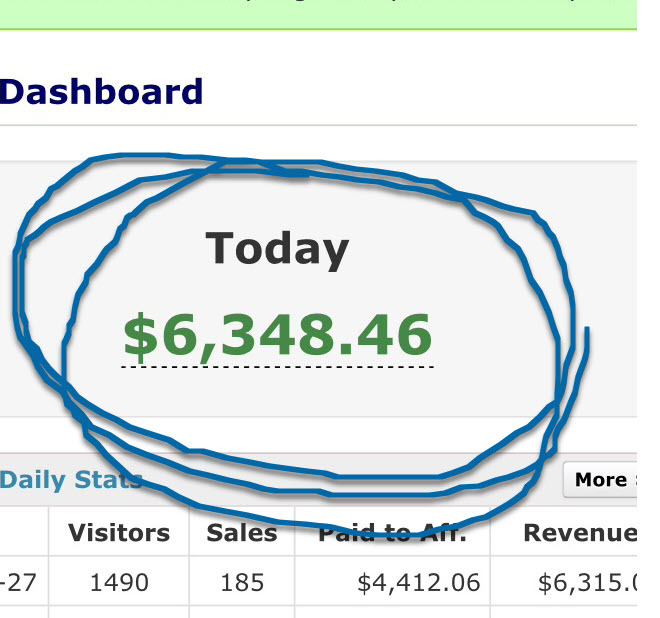 I am NOT saying that if you buy my software today that you’ll make money like this tomorrow—or ever! I can’t promise you that. That would be unethical, and frankly kind of stupid! What I am saying to you is this—We build software to use in our own business. We're actually using this software, Bubbles, right now on this very page! I use this because it works! With that all said, let me prove to you that I’m a serious contender when it comes to selling online, and that you might—just might—want to listen to what I have to say to you today! 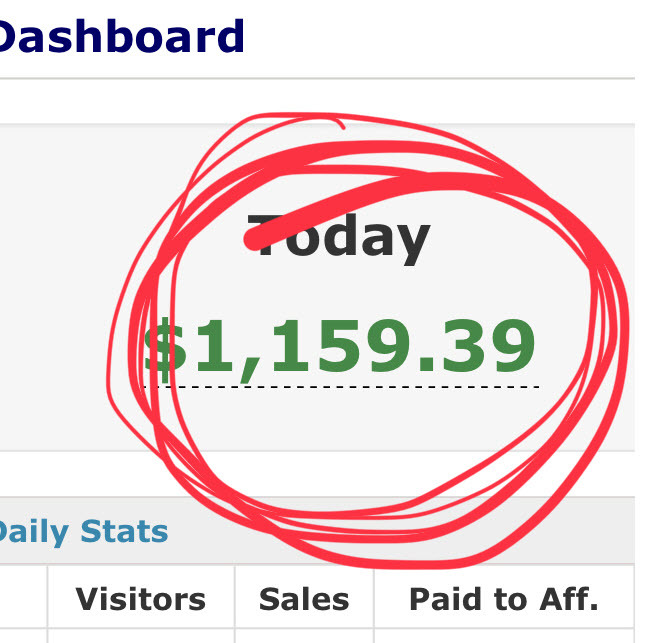 Yet another $1k plus day! This happened on my day off! 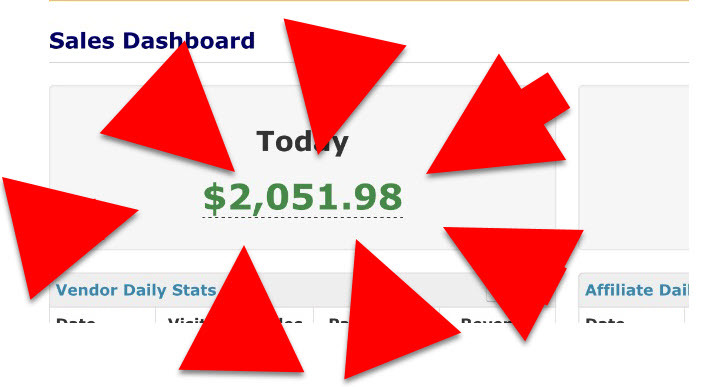 Again, I’m not showing you this to promise you that you’ll make this kind of money if you buy my amazing software today. I’m showing you this so that you understand that I’m a pro. My business makes money like this day in and day out. While I’m working, on my days off, even while I’m on vacation. It’s a freaking money machine! Want to know one of my secrets to my amazing success? My Big Secret Weapons-Social Proof! 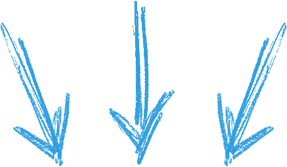 If you want more sales from your sales letter, having your visitors actually see that others have bought the same product will increase your sales. If you want more sign ups on your squeeze page, again, the social proof of actually seeing that others have done the same will increase your sign ups! If you’re not using social proof, you’re leaving money on the table…it’s as simple as that. How to Create Social Proof Ethically! You have to be careful with social proof. People are very suspicious of what they see online, and with good reason! Ever heard the phrase “fake news”? Well, today virtually anyone can fake anything with off the shelf software. So, you have to tread lightly with your social proof. You can’t hit your website visitor over the head with it, otherwise they’ll bolt and run, and quit trusting you! And, that, frankly, is a problem with some of the other social proof apps. There are quite a few social proof apps on the market now. They’ve all got their positives, but, at least in our eyes, many have two big negatives. Often social proof apps do more harm than good! Many actually create a negative sales environment. They push away buyers instead of attracting them. They have too much information, and they have dated information. Not only that, the frequency of the appearance and the assertiveness of the animation is off-putting. Most Social Proof Apps Are Too Damn Expensive! Not naming any names, because that would be unfair, but some of the more popular social proof apps start at around $80 per month! That’s close to $1000 a year! Social proof is well worth the cost of this, but heck! Most folks can’t afford that, especially when they’re starting out! And, If Those Aren't Enough Issues with Other Social Proof Apps, Here's the Biggie! Another huge issue is this—GDPR, and similar laws in the US, Canada, the UK and elsewhere. GDPR (Global Data Protection Regulation) is the European Union’s new data protection legislation. Although enacted by European countries, it’s impact is global. All websites and all businesses should be compliant with GDPR. We’re not attorneys, but common sense should tell you that to be compliant with GDPR (and all the other data protection laws), you need to have your subscribers’ permission to use their data BEFORE YOU USE IT! Most social proof apps work by pulling payment information in real time as people buy (or even as they sign up to a squeeze page). Then they display that information…without ever getting permission to do so! If you're doing this, you're just asking for trouble! Because of all the problems we saw in other social proof apps, and especially because of privacy concerns, we developed our own social proof app. One that’s easy to use, and doesn’t give away private information about our customers and subscribers without us having their permission first! 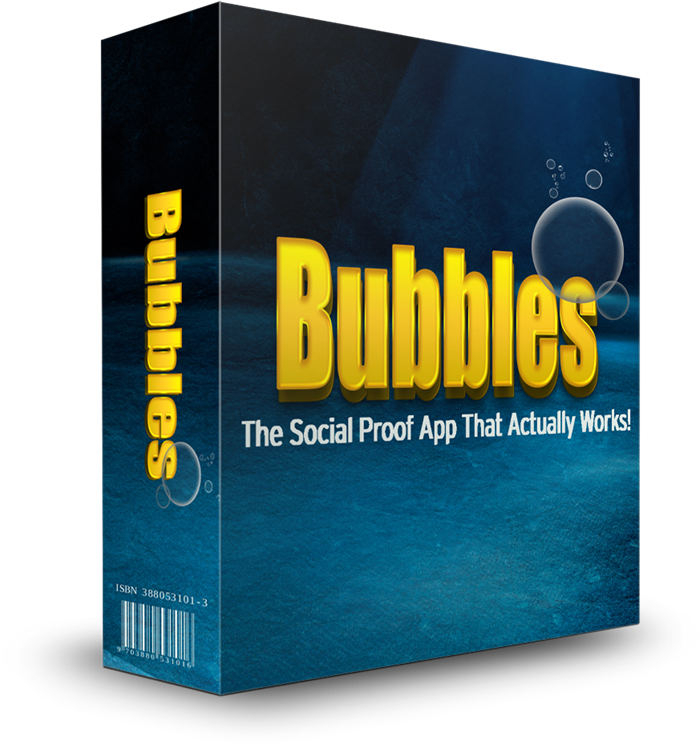 Let me tell you about our new, social proof app, Bubbles! Introducing Bubbles! The Social Proof App That Actually Works! Bubbles is our new social proof WordPress plugin. We developed Bubbles to use on our own sales letters, and it worked so well, we thought we’d let others benefit from it, too! You can see Bubbles in use on this page. Bubbles creates a trusting atmosphere of social proof. This social proof (seeing that others have bought something or taken a desired action) results in more sales or more sign ups. Bubbles is super easy to set up and use, and has tons of great features! A Few of Bubbles' Amazing Features! Here's Exactly What You Get When You Purchase BUBBLES Today! Bubbles is a WordPress plugin and can be used on any WordPress site. The software creates a tasteful pop up that indicates someone bought your product or signed up to your list. That pop up is displayed randomly on your web page. Bubbles is completely customizable. You can harmonize it with the look and feel of any web page. If you have several pages on your site you want to use Bubbles on, that’s fine! You can run multiple campaigns on the same website. Comes with complete training on how to upload and install BUBBLES. (Very easy to do!) In addition to installation, you also get training on how to customize BUBBLES to match the look and feel of your website, as well as, training on best practices while using BUBBLES. Let’s Make This Really Easy! If you purchase Bubbles today, I’m going to throw in a FREE, 1-hour webinar with me where I show you exactly how I made all that money in those screen shots at the top of this sales letter! The value of this webinar will greatly exceed what you’re paying for Bubbles today. Ready to create a life-changing income for yourself? If so, hit the buy button right now and secure your spot! This is a $197 value! 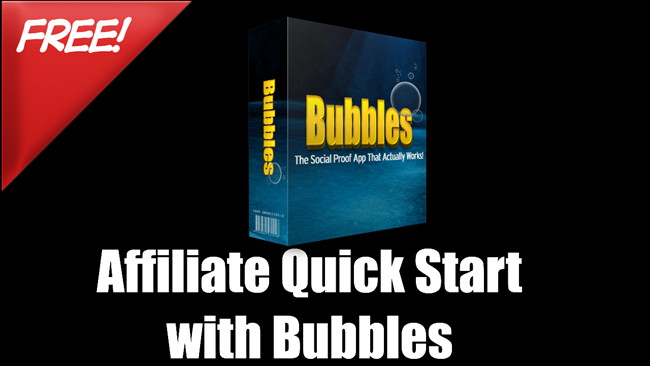 Affiliate Quick Start with Bubbles is going to rock your world! In this ground-breaking webinar, I'm going to show you exactly how you can build a lifestyle business, just as I have! I'm holding nothing back! If you've wondered how real people make real money online, look no further. You will finally learn the secrets to a life changing income! And As If That’s Not Enough, How About I Throw in A Ton More Money-Making Bonuses! How about I make this truly irresistible! My goal isn’t to just sell you some piece of nifty software that collects “cyber-dust” on your hard drive. My goal is to help to change your life through learning the secrets that have allowed me to create a massive, lifestyle business. To that end, check out these amazing bonuses below. 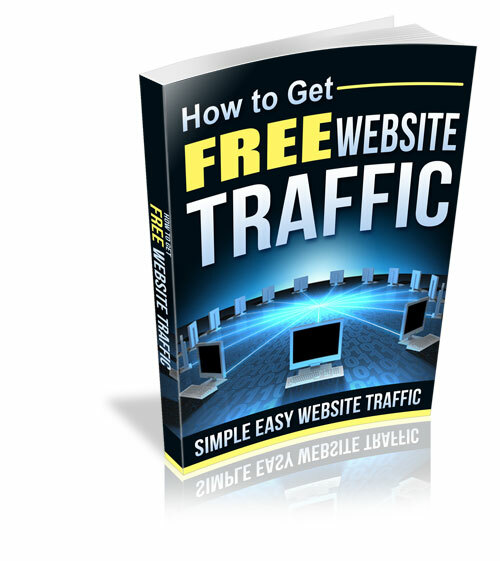 Take your business to the next level by getting FREE, targeted website traffic! Works for any niche. These are proven, cutting-edge methods anyone can use to build massive traffic to any website, video, social media account, or basically anything else online! Yours FREE when you purchase today! 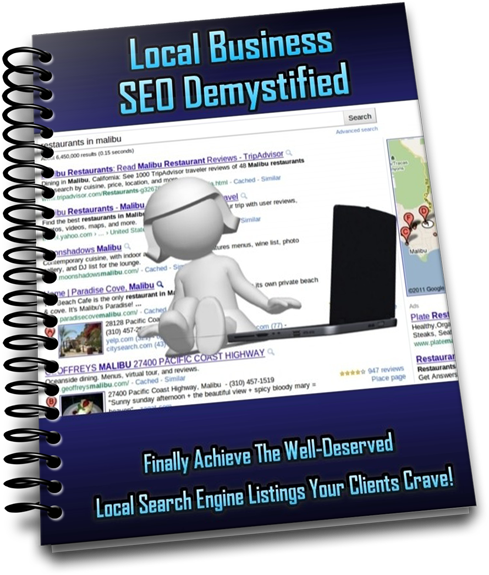 With Local Business SEO Demystified, you'll learn professional grade tips and tricks that anyone can implement to get more traffic to local business's web pages, Google My Business listings, or videos. This is a must have training for anyone interested in working with local businesses! The heart and soul of Internet marketing is email marketing! 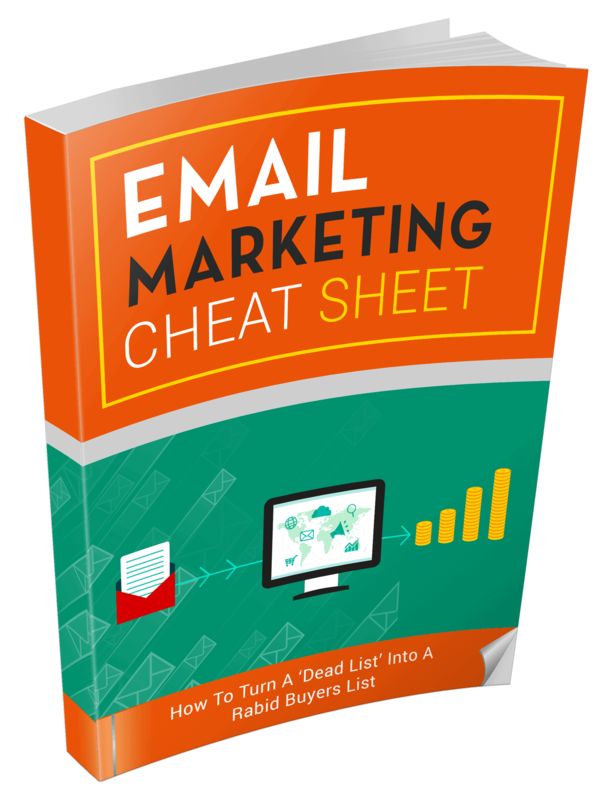 In this new training, you're going to learn all the ins and outs of professional email marketing strategies and tactics. Get this today and start profiting by as early as tomorrow! 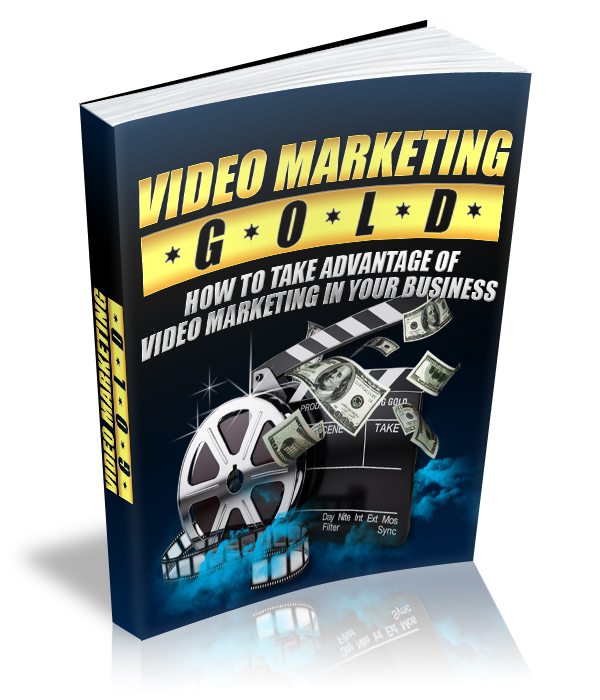 Video Marketing GOLD is exactly what you'll need to start making money with YouTube and other video platforms. This guide is completely newbie friendly. Easy to learn and easier to implement! Get this today and start crushing it with video! Want to learn all the hacks and tips that the pros use to make massive amounts of money with video marketing? 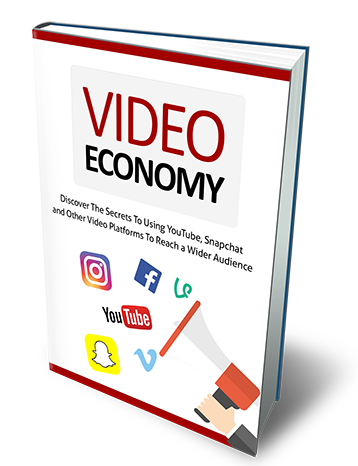 In this new training, Video Economy, you'll learn all this and more. Get this today! Let’s Make This Totally Insane! I was recently invited to speak at Cliff Carrigan’s Locustware2018 event. People paid over a thousand dollars in hotel fees, air fare, and ticket prices to hear me and a few other top marketers speak. How about I give you access to the recordings of this as a bonus for purchasing a 50-site license for Bubbles today? That's $2000 Plus Worth of Income Producing, Life Changing, Money Making Training...Yours FREE, If You Buy Bubbles TODAY! Lee, Thanks for checking in. Setting things up and really enjoying your bonus videos and webinar training. Very high value stuff! The software alone should be at least $47 per month! That's $567 per year. Don't worry, though! If you purchase this today, you can get either license for a one-time, inexpensive fee! And, you're getting over $1000 worth of amazing bonuses on top of that! To get started, just choose the license you want below. That can be either single site or a 50-site license. To buy, just click the appropriate buy button and you’ll be taken to our secure payment processor. After you pay, we’ll send you an email with your login details. Log in to our members area and start profiting today! Don't let this offer slip away! As a matter of fact, let me do you one better. Your 100% No-Hassle, No Questions, Money Back Guarantee! A Couple More Really Important Things! How About A Developer's License So You Can Sell Bubbles to Clients? Yes, just one. My first ever training on how to create an amazing "lifestyle" business as an affiliate marketer. You may not know this, but in addition to everything else, I run a 7-figure (yep, you read that right) affiliate marketing business. And, I do this part-time! In my new training, I'm going to show you exactly how you too can create a monster, lifestyle business for yourself! I've never before revealed these secrets to anyone! If you want money and the freedom to enjoy it, this is for you! Again, you'll see more about this when you check out! 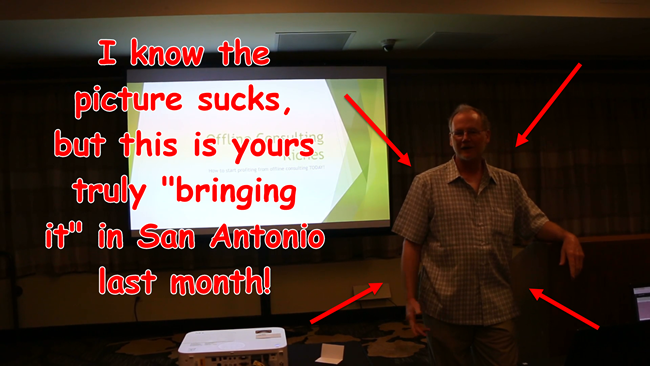 Today, You’re Getting My New Software, Bubbles, Complete Training, My Affiliate Quick Start Webinar, My Awesome 5-Bonus Package, And…The Complete Recording Of My Talk In San Antonio For Less Than I’ll Spend On Lunch Today! Here's Exactly What You're Getting! You'll Have The Chance To Pick Up A Developer's License Upon Check Out For A Very Reasonable Price! What kinds of sites does Bubbles work with? Bubbles will work with any WordPress site. It’s a WordPress plugin. Easy to install, easier to use! Watch the video above, it shows you everything you need to know. What does Bubbles actually do? 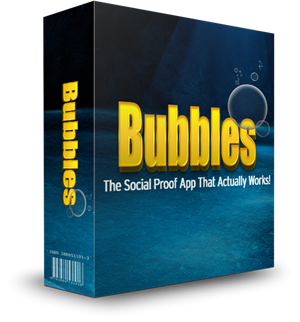 Bubbles is what’s called a “social proof app”. It displays a small, unobtrusive pop up on the web page that indicates that someone has bought something, or signed up for something. How does Bubbles create a positive, as opposed to a negative, sale environment? How is Bubbles compliant with GDPR and other data protection regulations? Bubbles maintains its own data of previous buyers. You should, of course, make sure that those buyers have given you permission to use their information in the various ways you wish to use it in accordance with GDPR and other data protection regulations. What can I customize with Bubbles? How will I know the best ways to use Bubbles? We have excellent training, including our own quick start webinar, which will walk you through all the customizations and how to use them. What does the single site license buy me? You can install Bubbles on one site that you or your business actually own. If you change sites, you’ll have to contact us. We’ll change that over for you, and Bubbles will then be working on the new site. Although, it will quit working on the first site. 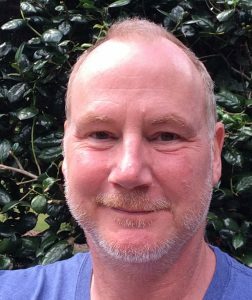 What does the 50-site license buy me? Same idea as the 50-site license, except you now have the right to put Bubbles on up to 50 sites that you own or that your business owns. There is a developer’s rights option, also. Please see the next question. Yes, there are two. The first one is a developer’s site license. This gives you the rights to put Bubbles on sites your clients own. (You do not, however, have the right to sell Bubbles, en masse, as your own product.) The second OTO is a webinar based coaching program that will take you and your business to an entirely new level! You can learn all about that on the sales page for that product. I sell to clients. Can I use Bubbles with them? Let's Get Real Clear On This--This Is Only Available at This Price for a Limited Time! Buy Today to Get the Best Price and Secure All Your Bonuses! Bubbles Single Site License Allows You To Put Bubbles On One Website Only. You Can Put It On An Unlimited Number Of Pages On That One Website. Comes With All the Bonuses, Except For Lee's Groundbreaking Locustware2018 Training. Bubbles 50-Site License Allows You To Put Bubbles On Up To 50 Websites That You Or Your Business Own. You Can Put It On An Unlimited Number Of Pages On Each Of Those Websites. Comes With All the Bonuses, Including Lee's Groundbreaking Locustware2018 Training. PS: Bubbles is our new social proof WordPress plugin. We developed Bubbles to use on our own sales letters, and it worked so well, we thought we’d let others benefit from it, too! PPS: Comes with all the training you need to get up and running fast! PPPS: If you want to use Bubbles with your clients, you can pick up a developer’s license on the first OTO page. Very inexpensive, too! PPPPPS: Also, don’t forget the five other, cutting-edge, money making bonuses! All in all, you get over $2000 of bonuses, if you buy today! You can’t lose! Especially with my 7 day, no hassle, money back guarantee! Act now, because I also reserve the right to raise my prices at any time!